The FloVac Degasser combines two sample preparation techniques in one elegant solution. 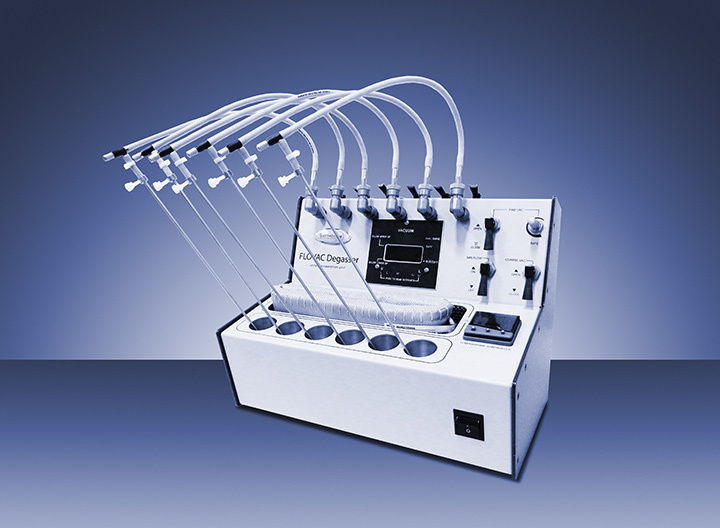 This stand-alone device features six sample stations, each with individual control valves to allow the addition or removal of individual sample cells without interrupting the other samples in process. For labs analyzing similar types of samples, it provides high efficiency as all of the six sample ports share one thermal zone. Operating in either flow or vacuum mode, it provides the right sample preparation method for all types of material.